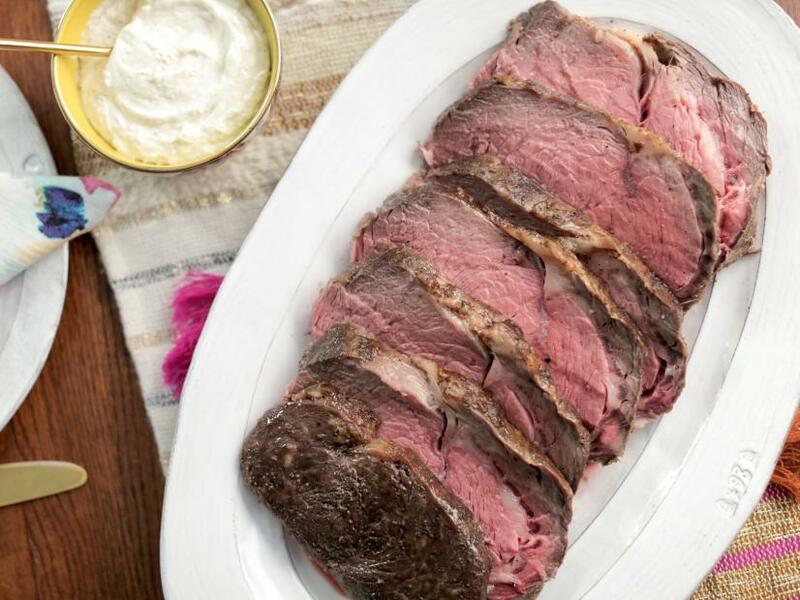 Pat the prime rib dry with paper towels. 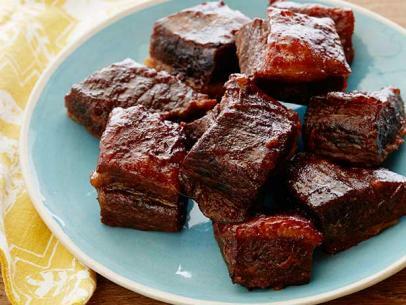 Refrigerate, uncovered, for at least 1 day and up to 3 days to age the meat. At least 4 hours and up to 1 day before serving, mix the horseradish, creme fraiche, vinegar and sugar together; season with salt and pepper. Refrigerate until ready to serve. Preheat the oven to 225 degrees F. Toss the rosemary, sage and thyme with the oil, and arrange on the bottom of a roasting pan. 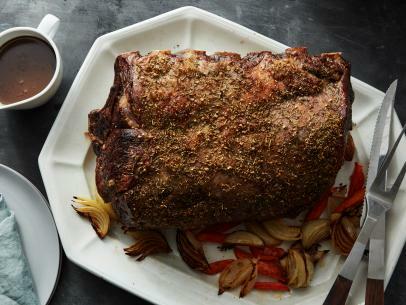 Season the prime rib generously with salt and pepper, then set it on top of the herbs. 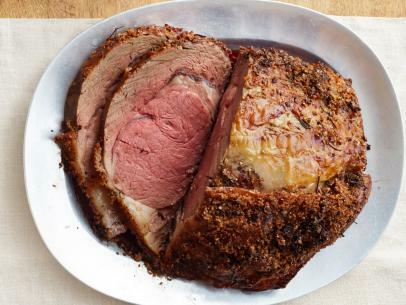 Roast until an instant-read thermometer inserted into the center of the prime rib registers 125 degrees F, 3 hours 15 minutes to 4 hours. 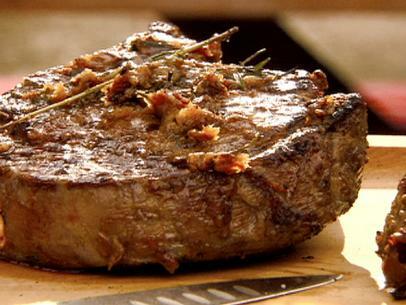 Remove from the oven and let rest at least 30 minutes and up to 1 hour. 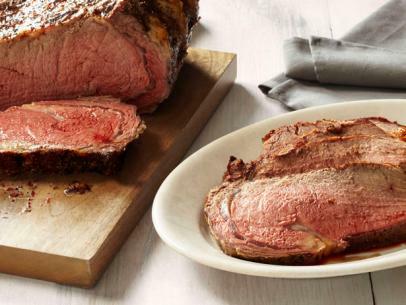 Increase the oven temperature to 500 degrees F. Right before serving, return the rested prime rib to the oven and roast until the outside is browned and caramelized, about 10 minutes. 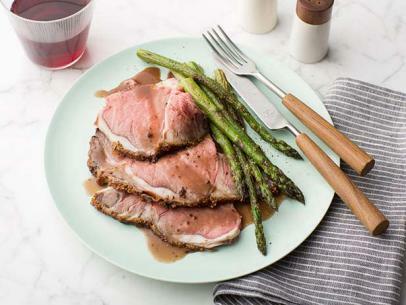 Transfer the prime rib to a cutting board. 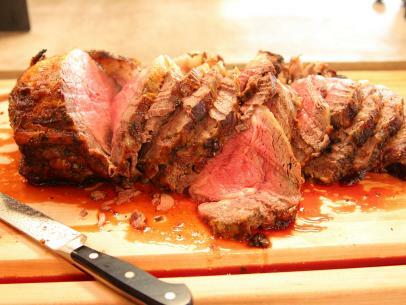 Cut the meat away from the bones with a sharp chef's knife and then slice the meat across the grain. 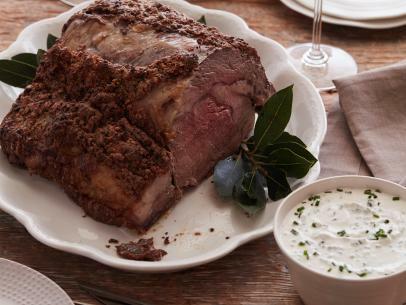 Serve with the crispy herbs, horseradish sauce and flaky sea salt.